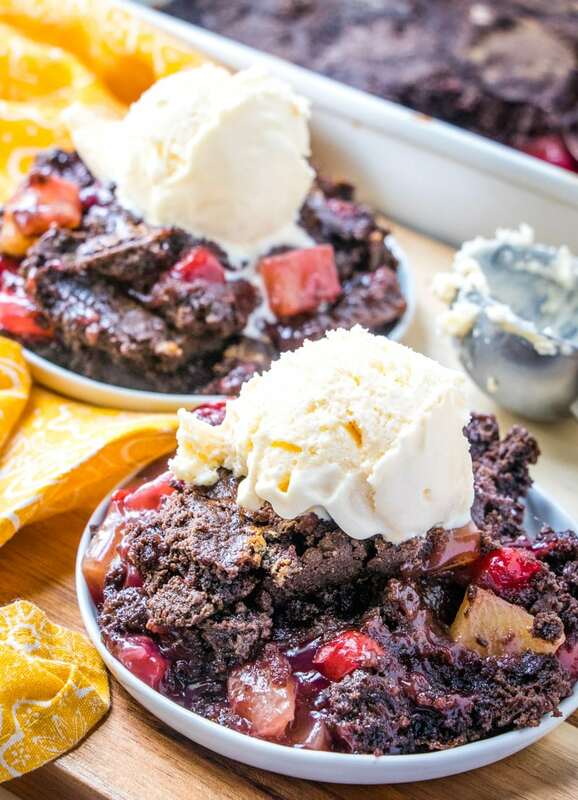 This Chocolate Cherry Dump Cake recipe is a breeze to make, delicious and will definitely satisfy your sweet tooth. It’s the perfect crowd pleasing dessert! 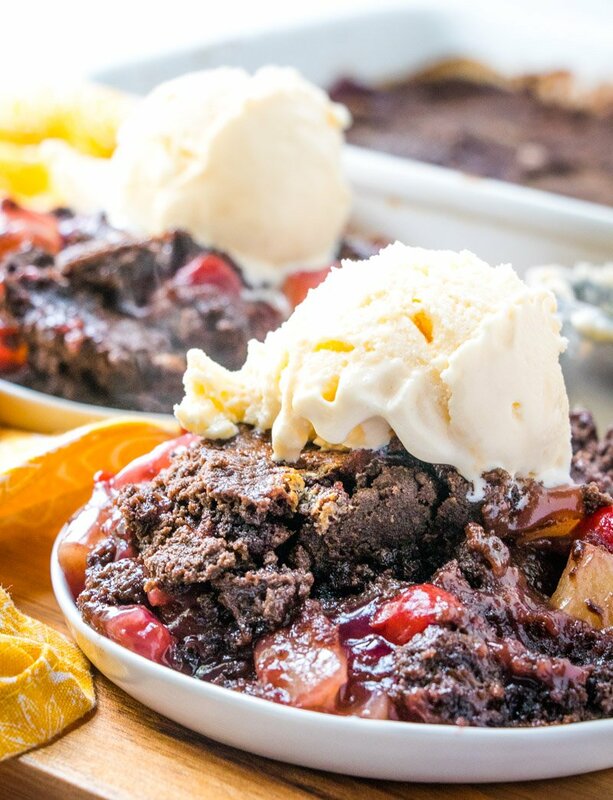 Having an easy chocolate dessert recipe in your back pocket, like my Chocolate Lasagna, Chocolate Bread Pudding or Chocolate No Bake Cookies, is an absolute must for every home chef! When you’re craving chocolate, you want it NOW. Or maybe that’s just me? 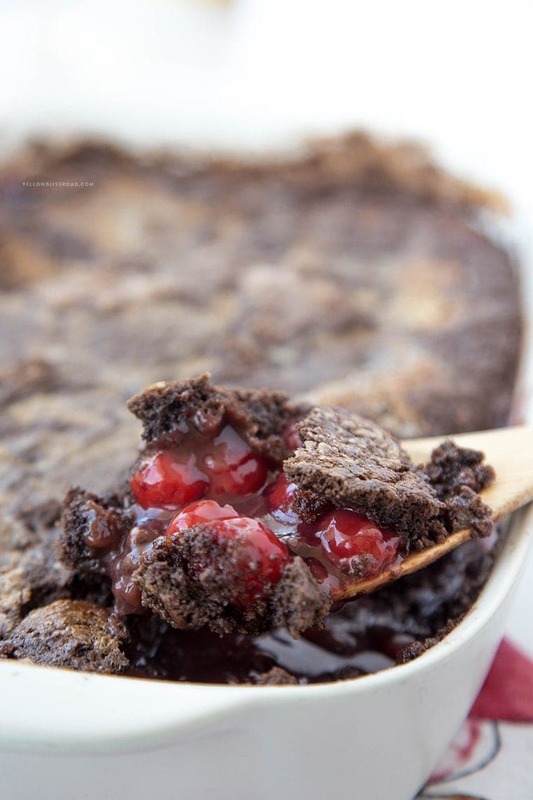 But either way, this Chocolate Cherry Dump Cake recipe will satisfy that chocolate craving, and then some! 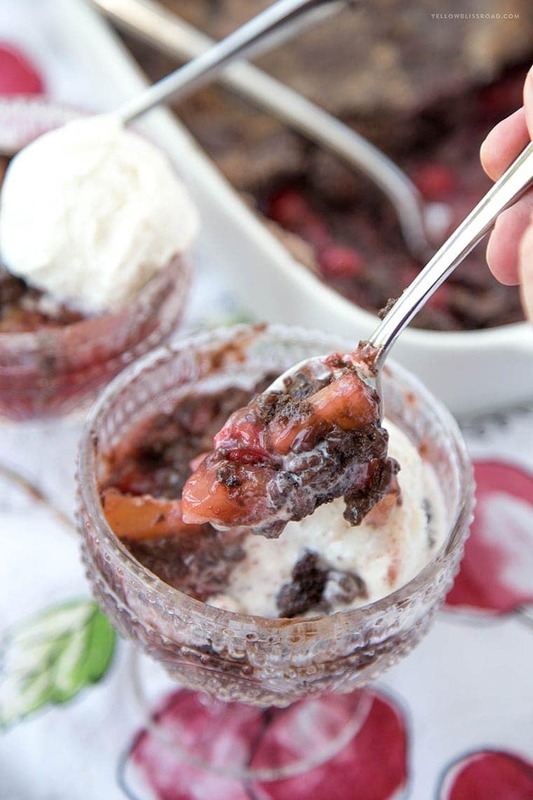 Plus its chocolate and fruit together, and you can’t go wrong with that. I mean, it’s practically a healthy dessert, right? Have you tried Dump Cake? Traditionally they are made with yellow cake, crushed pineapple and cherry pie filling but I liked the idea of chunks of pineapple swimming in all of that yummy goodness so I decided to go against the grain. 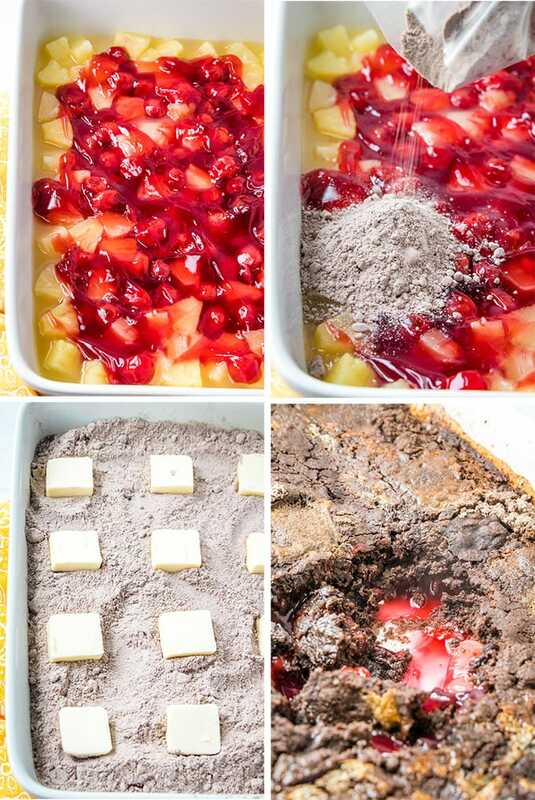 The idea behind a Dump Cake is just that – dump it, put it in the oven and forget it. We know that I love easy recipes that don’t require a ton of prep work, and this dessert fits the bill. Let’s make this awesome dessert recipe, shall we? 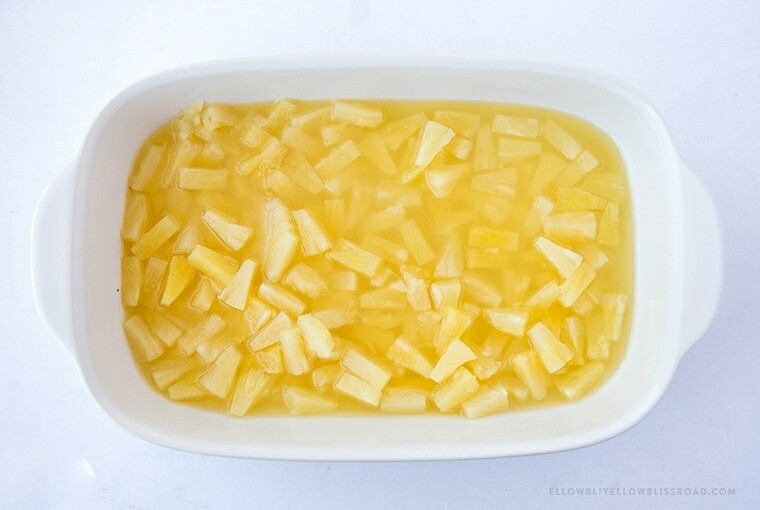 Dump in the canned pineapple. 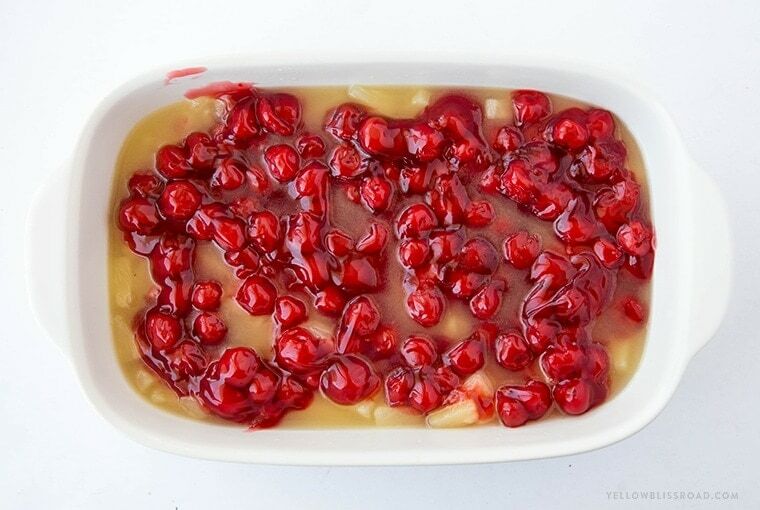 Dump in the cherry pie filling. 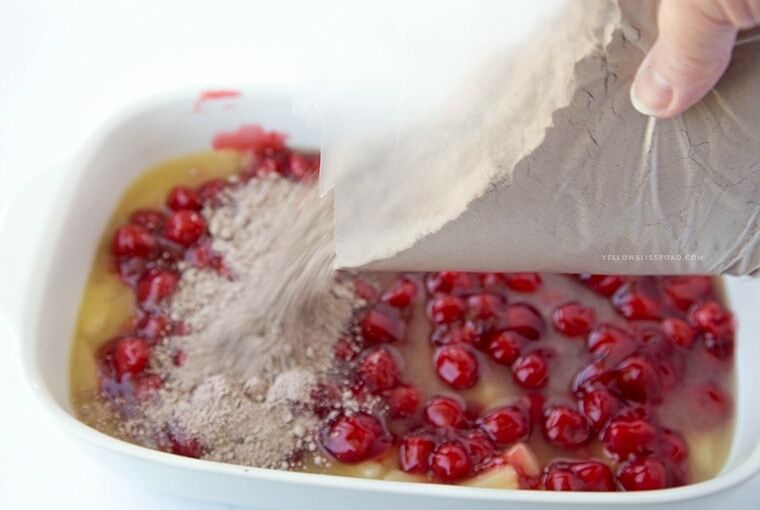 Dump in the chocolate cake mix. Dump in the butter. Except don’t really “dump” in the butter, slice it and place it evenly on top of the cake. One thing you want to make sure to do is to use a 13×9 inch pan. I have used an 11×7 because it was prettier and it made the cake mix sit a little too thick. It still tasted incredibly amazing, but didn’t crumble like the top should. If you’ve got it, ice cream on top is a must! Do not overbake. In fact, having your cake be slightly under-done is totally acceptable. My favorite chocolate cake mix is good ol’ Betty Crocker, but you can use any that might be your favorite. HOW DO YOU SERVE DUMP CAKE? You can serve this cake warm or cold and with out without ice cream on top. Although I definitely think dump cakes are best served warm and a la mode. Am I right? Just look at that creamy, melt-y vanilla ice cream. 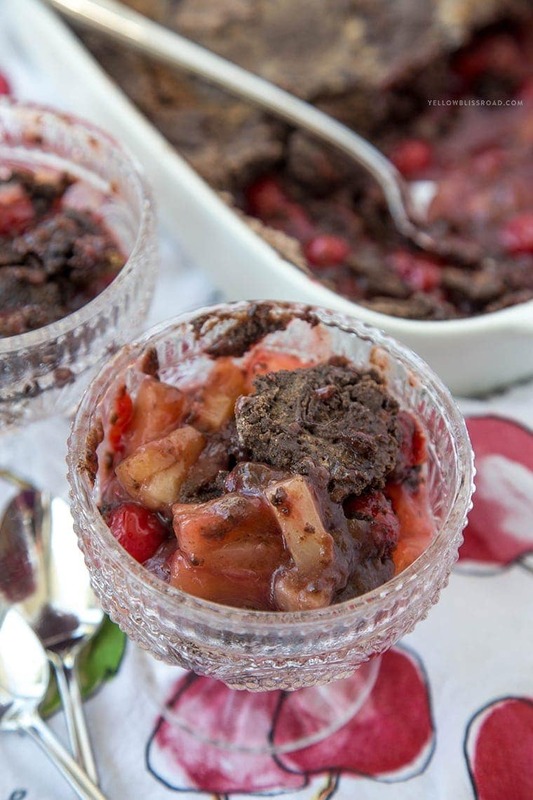 Spoon it up, because this Chocolate Cherry Pineapple Dump Cake is going to go fast! 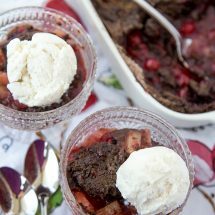 DOES DUMP CAKE NEED TO BE REFRIGERATED? 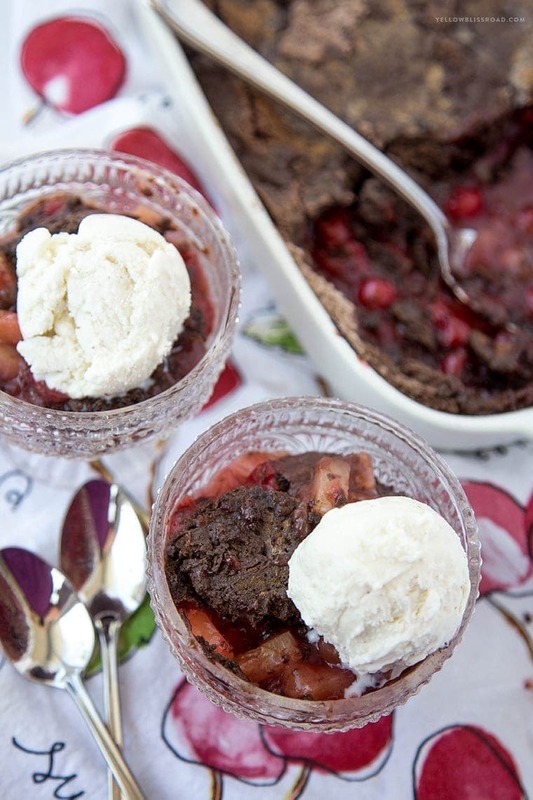 This Cherry Dump Cake should be refrigerated for up to 3 days, and frozen for up to 3 months. It can be served chilled right out of the fridge or warmed slightly in the microwave and topped with ice cream or whipped cream. For all desserts go HERE and for all recipes go HERE. 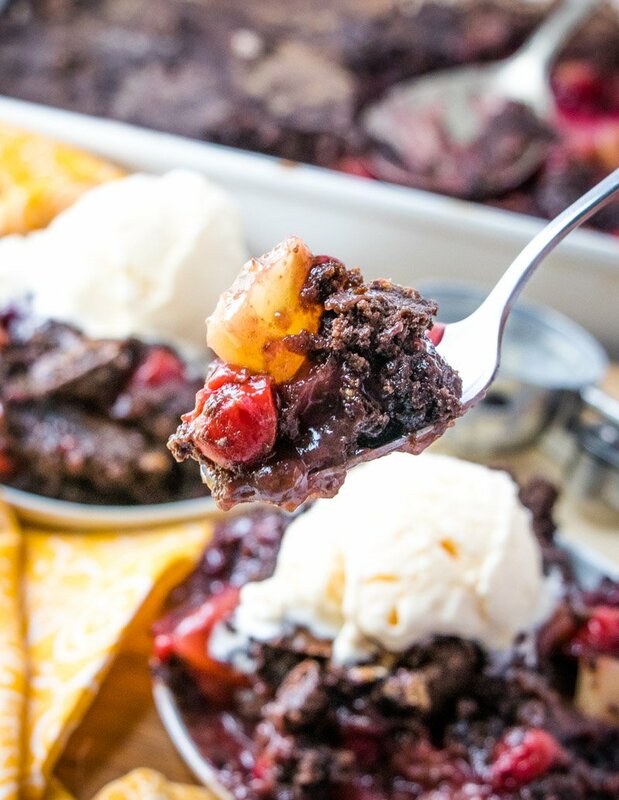 This Chocolate Cherry Dump Cake recipe is a breeze to make, delicious and will definitely satisfy your sweet tooth. It's the perfect crowd pleasing dessert! Layer pineapple (with the juice), then cherry pie filling in the baking dish. Sprinkle with chocolate cake mix, then arrange butter slices evenly over the top. Bake in the 350 degree oven for 50 minutes, or until fruit is bubbly is chocolate cake is cooked through and golden. Allow to cool slightly before serving. I recommend topping with a big scoop of vanilla ice cream. I was worried about how this would taste. It was incredible. One if the best desserts I have had. Just make it..you will like it. I love fruit and I love chocolate. I love pineapple and cherry. However, I don’t know that I see those 3 flavors together in one dish. I would like to see more reviews before I try this one. You’d be surprised at how awesome the combo of chocolate and pineapple is! !